The sport of Stand Up Paddling (SUP) has been exploding in popularity and is quickly becoming the watersport of choice for a growing number of teens and kids. Not only does SUP'ing increase strength, balance and coordination, kids love it because a it's fun and exciting way to spend time on the water! At Stone Mountain Adventures Stand Up Paddle Boarding is offered in conjunction with our sailing activity and takes place at beautiful Raystown Lake. 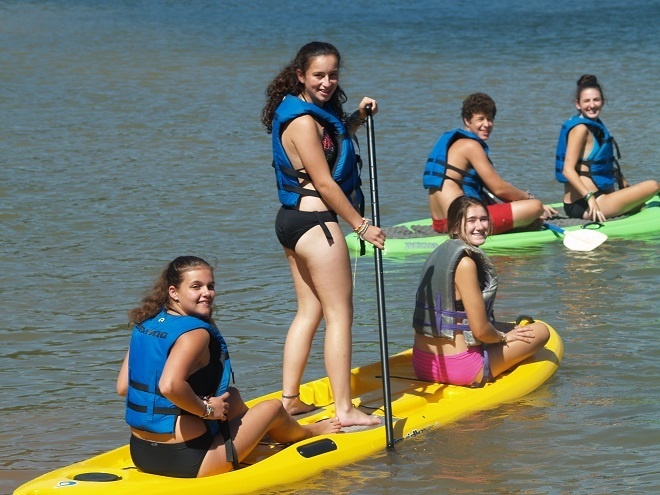 Stone Mountain Adventures is one of many summer camps in PA offering Stand Up Paddle Boarding. We also offer many other water sports, Click Here to see what we offer.